Mark your calendars, Surprise Attack! 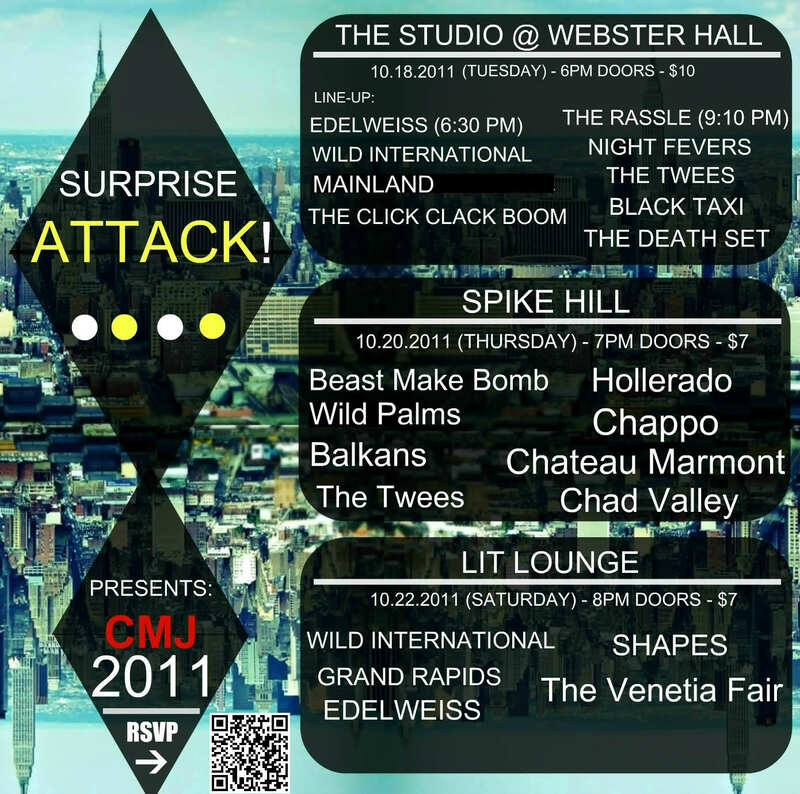 Management will be presenting three CMJ showcases. 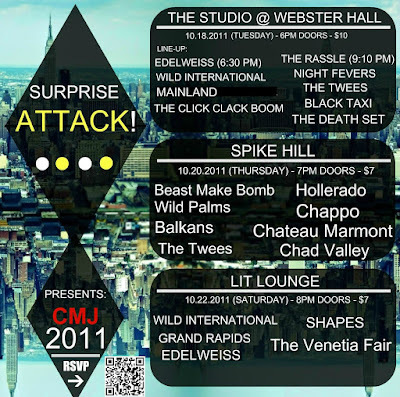 The first will take place at the Studio at Webster Hall on October 18, doors are at 6PM and it'll cost you $10. The second showcase is at Spike Hill on October 20. Doors are at 7PM and it'll cost you $7. The third showcase is at Lit Lounge on October 22. Doors are at 8PM. Check out full details below.